Plus, the five things all new mums must know about breastfeeding a newborn. Stepping into the role of a new mother can be quite overwhelming. While the entry of your newborn into your life is endearing, it can also bring about a seismic change in your routine, forcing you to race against time. For instance, if you are a new mum you’d know that sleepless nights, diapers changes, burping, cradling and breastfeeding are part of the deal. But managing these endless chores that can quite daunting. And while most of these could be worrisome, breastfeeding perhaps takes the cake in terms of priority. So we spoke to Kanchan Naikawadi, preventive healthcare specialist, Indus Health Plus, Pune, who shared the most crucial information about breastfeeding. “A new mother needs to take care of herself as much as her little one. Health should be her top priority and she should be well hydrated and fed in order to produce enough milk,” shared Naikawadi. The amount of milk you produce depends on your overall health and strength. However, it’s important to note that babies feed on demand. So on an average a newborn can drink 45-90 milliliters of milk every two to three hours. After two months, the quantity increases to 120-150 milliliters and the feeding window increases to three to four hours. On the other hand, at four months your baby can consume 120-180 milliliters and at six months, he can consume 180-230 milliliters every four to five hours. “Initially, a newborn baby should be fed every 1.5 to 3 hours. Once the baby starts to gain weight, the feeding interval can change to once in every 3 to 4 hours. You need to keep in mind that the little ones should be woken up for nursing,” briefs Naikawadi. “The newborns usually stay up at night and sleep during daytime; hence, the feeding times could change. As a rule, during the initial few weeks breast feeding should be 8 to 12 times in a day,” adds Naikawadi. Apart from this information it is important to note that your patience as a new mother can go a long way, especially if your struggling to breastfeed. “Breastmilk contains antibodies which protect your little ones from diarrhoea, colds and sinus and ear infections and other allergies. Plus, long-term breastfeeding helps stay away from breast and ovarian cancer; whereas a short-term benefit is that this physical contact can help you bond with your baby,” says Naikawadi. He adds that breastfeeding releases hormones also known as “mothering hormones.” “The prolactin hormone helps in keeping the baby blues at bay; whereas the oxytocin hormone helps the uterus to contract and yes it helps you to burn calories too,” shares Naikawadi. “It takes patience and a little bit of perseverance to understand and develop the skill of breastfeeding. How much breast milk is produced has nothing to do with the breast size. A woman’s body has been designed to prepare for the milk production during early pregnancy. 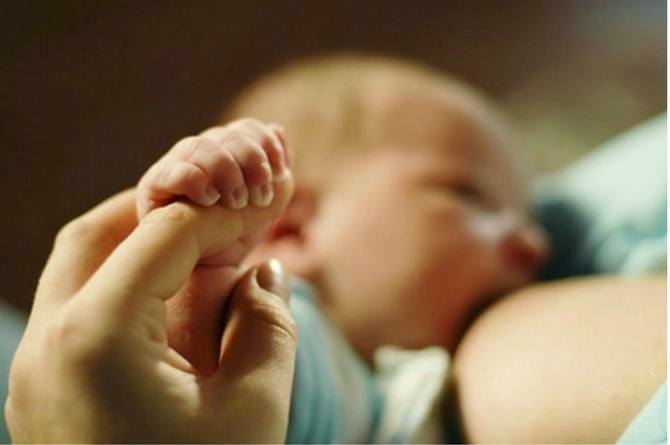 With the baby’s birth the hormonal changes carry on an immediate task of breast milk production,” explains Naikawadi. Sometimes things don’t go as planned. “During this phase, one should be calm and ask for help be it from a friend who is an experienced mom or even from your family physician. Don’t be scared to seek for immediate medical help. Remember – The earlier any problem is identified, the easier it gets to fit in a timely solution,” advises Naikawadi.